Nannies, housekeepers, elder caregivers, and their employers. REV-, Peopleâ€™s Production House, Domestic Workers United, MIT Center for Civic Media, Community Development Project of the Urban Justice Center. 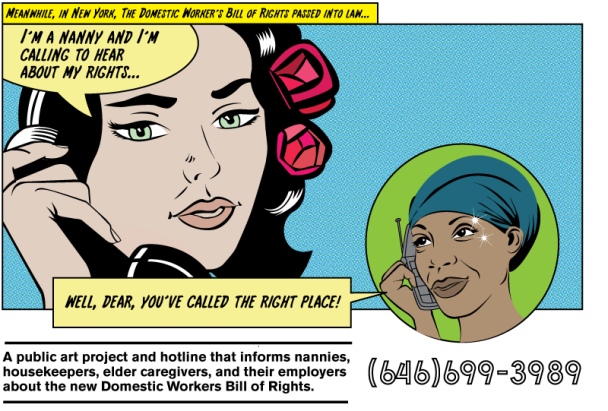 A hotline outlining rights and laws for nannies. When you call the hotline number, you hear what sounds like a radio talk show, hosted by Christine Lewis, who explains to you worker's rights and laws. To create a collective of artists, advocates, media makers, low-wage workers, immigrants, and youth to spark social change through constituency-led campaigns. Better working conditions for nannies. 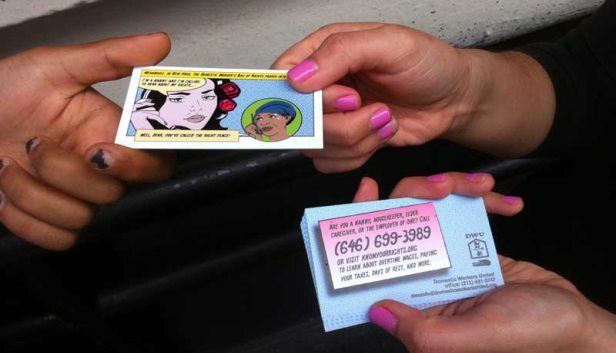 Rev- functions as a key component of a city-wide campaign that seeks to encourage domestic workers and their employers to comply with the law.